They’re easy to take for granted, but it’s hard to get anywhere without them. And when they hurt, it can be tough to concentrate on anything else. So pamper your feet to keep them at their best. Your feet take a beating every day, and small problems can turn into big ones if you ignore them. Look over your feet each day for cuts, sores, loose or discolored toenails, swelling, or rashes. When you’re walking, they’re working -- and they sweat, too. When the cracks and crevices between your toes are trapped in your shoes, they’re a warm, moist place that’s ideal for fungus. And that can lead to things like athlete’s foot. When you wash your feet, the water shouldn’t be too hot -- between 90 and 95 degrees is best -- and don't forget to get between your toes. This may seem obvious, but many people don’t dry their feet the right way. It’s not just the tops and bottoms: You should get between your toes -- where fungus is most likely to cause problems. 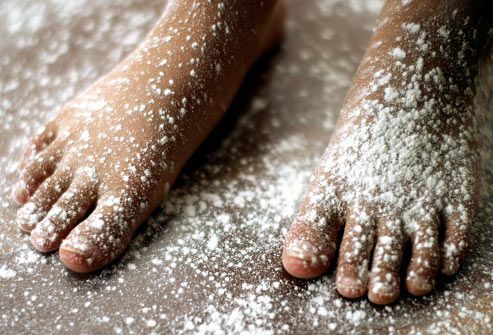 After you dry your feet, sprinkle cornstarch or talcum powder on them to help keep them dry. If you have athlete’s foot or some other infection, you can try special medicated foot powders that help with itching, too. 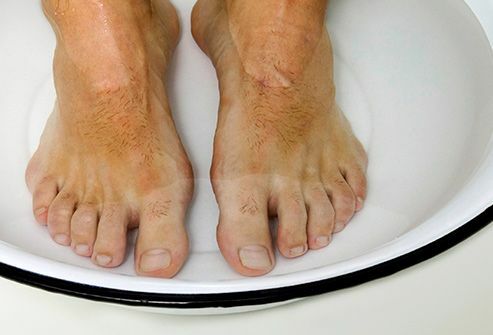 It may feel good at the time, but soaking your feet for long periods can lead to dry, cracked skin that can cause pain, sores, and even infection. Wash, dry, powder, and repeat -- and leave it at that. Save the soaking for your beans. Lotion, cream, petroleum jelly -- whatever moisturizer you prefer -- put a thin coat of it on the tops and bottoms of your feet. Make sure to rub it all the way in and skip between your toes, where too much moisture can cause trouble. You want to cut them straight across. You can smooth the corners with an emery board or nail file, but don’t angle them. That can cause your toenails to grow into your skin, which is painful and can lead to infection. Have a foot doctor trim them if you can’t see, reach, or feel your feet, or your toenails are thick, yellowed, or grown into your skin. Wiggle your toes a couple of times a day for 5 minutes at a time. Move your ankles around to help even more. Don’t cross your legs for long periods or wear tight socks -- that can mess with your blood flow. 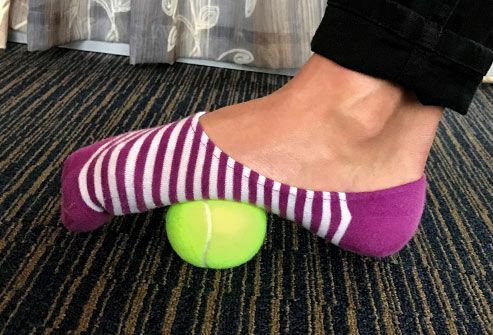 Foot stretches and massage -- with a ball or roller -- are good for your feet and can help manage painful conditions like plantar fasciitis, an injury to the sole of your foot that comes from overuse. Talk to your doctor or physical therapist about which stretches are right for you. You can use a special kind of stone called pumice on these. After you bathe or shower, rub the stone gently over the area. Don’t cut them or use corn plasters, “liquid corn,” or callus removers -- they can cause infection. If you have this done as part of a pedicure at a salon, make sure the footbaths and tools are clean and that the technician washes her hands between clients. When you need a new pair, it’s best to try them on at the end of the day, when your feet are largest. Make sure that there’s plenty of room for your toes and that they fit when you get them -- don’t expect them to “stretch out.” And as pretty as they are, high heels and shoes with pointed toes are really hard on your feet. Just a few minutes of activity a day can help your blood flow, which can lead to healthier feet. You don’t have to run a marathon, unless you really want to. Walking, biking, swimming, dancing -- even gardening -- will work. 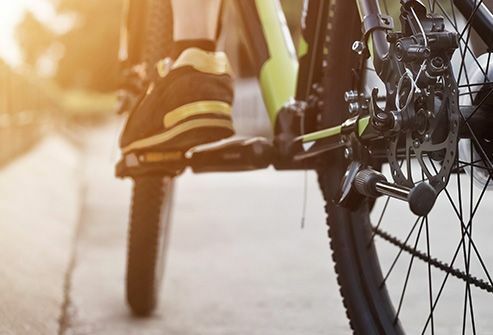 Get the right kind of supportive shoes for your activity, and ask your doctor if you’re not sure what’s right for you. Keep your feet safe from the hot pavement in the summer with sandals or shoes, and protect them from sunburn. Many people overlook the top of their feet when they put on sunscreen, but that's a common place to get a burn. In the cold of winter, lined boots are your feet’s best friend. 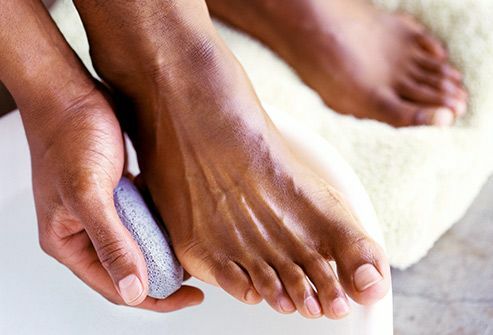 It’s even more important to take care of your feet if you have diabetes, especially if you have pain, numbness, changes in the shape of your feet, or sores that don’t heal. The condition lowers blood flow and can damage nerves in your feet. You may need to talk with a foot doctor -- a podiatrist -- to make sure you’re doing all you can for them.